All Mount Carmel homes currently listed for sale in Mount Carmel as of 04/23/2019 are shown below. You can change the search criteria at any time by pressing the 'Change Search' button below. If you have any questions or you would like more information about any Mount Carmel homes for sale or other Mount Carmel real estate, please contact us and one of our knowledgeable Mount Carmel REALTORS® would be pleased to assist you. 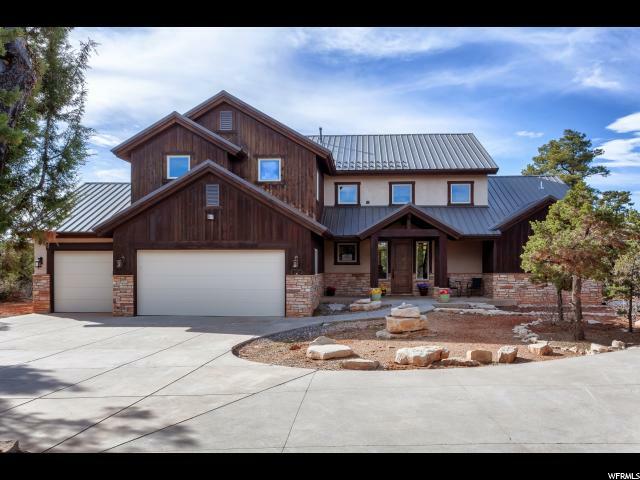 "Stunning FURNISHED TURN-KEY cabin APPROVED for NIGHTLY RENTAL / VACATION RENTALS in Zion Ridge, located 9 miles from the east entrance into Zion National Park. Adjacent to Zion Ponderosa Resort. IMPRESSIVE two story cabin w ALL the luxuries of home & a striking, yet comfortable d cor. Use it when YOU want and rent it out for positive cash flow & strong ROI. YOU'RE IN CONTROL OF ITS SUCCESS. The sensational upgrades are visually seen as well as behind every door, cabinet & drawer. 1.14 acre lot give solace and privacy to your getaway in relaxing, mountainous clean air and blue skies. No therapist needed!"